The new ‘Meet, Eat and Speak’ event will be a free lunchtime experience for day buyers, combining fare from award-winning social enterprise Eat My Lunch with a showcase from Celebrity Speakers. 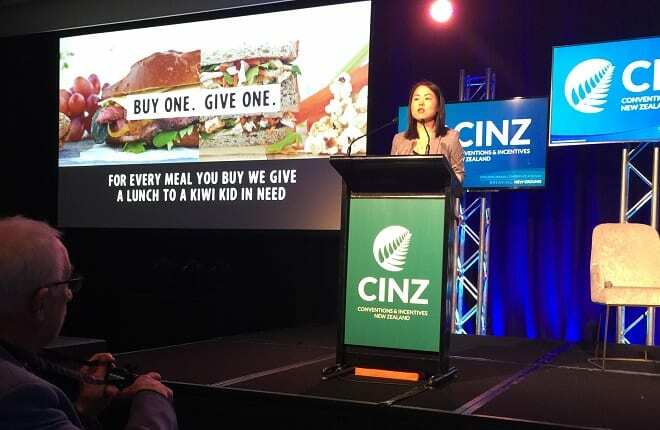 “Our guests will be able to find out first-hand what an impact their lunch is having for Kiwi kids when they listen to Lisa King, the founder of Eat My Lunch who will be speaking on both days,” she said. Meet, Eat and Speak will be held at the Logan Campbell Centre alongside the MEETINGS exhibition at ASB Showgrounds. Online registration is free for Day Buyers attending MEETINGS 2019.